Microsoft is using its patent arsenal to make some cash out of Android's success and the company has set its sights on a big target. According to a Reuters report, the Redmond giant is demanding that Samsung Electronics pay $15 for each smartphone handset it makes based on Google's Android operating system or face a patent infringement lawsuit. No details are available concerning exactly what patents Microsoft is leveraging, but the company has already managed to successfully extract royalty fees from several Android device makers. Back in April 2010, the company reached a settlement with HTC over the same matter, and in the last couple of weeks four more companies bowed to the pressure: Onkyo, U.S. defense contractor General Dynamics Itronix, Velocity Micro, and Wistron. Samsung is reportedly looking to lower the payment to around $10 per handset in exchange for a "deeper alliance" with Microsoft and its Windows platform. If Microsoft manages to pull this off, it could represent a few million dollars in revenue thanks to the popularity of Samsung's Galaxy smartphones and tablets. At the same time the additional cost and legal complexity may chill the adoption of Android, which Google gives away for free, making other platforms such as Windows Phone 7 more attractive to manufacturers. 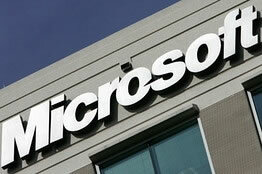 Microsoft has also sued Motorola and Barnes & Noble for selling products with Android software. The company's Corporate Vice President and Deputy General Counsel, Horacio Gutierrez, defended the actions in a blog post in March: "Microsoft is not a company that pursues litigation lightly. In fact, this is only our seventh proactive patent infringement suit in our 36-year history. But we simply cannot ignore infringement of this scope and scale."